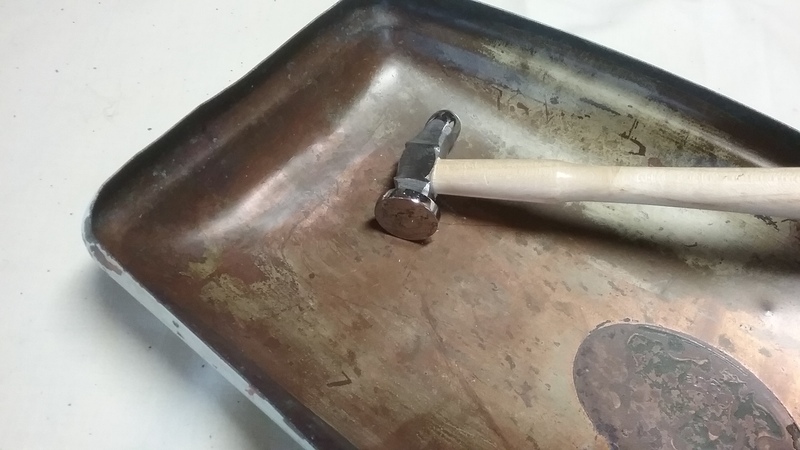 I finally thought of a useful purpose for the curious little copper piece I picked up at @gypsyalleyus last year. Some of you may remember seeing it on my Facebook page. I definitely remember the dumbfounded look on my husband’s face when I unloaded it from the back of my car. Once again, I didn’t have a clue as to what I was going to do with it either, but, recently, as I was looking for a cute way to store spare rolls of TP in the bathroom, the answer seemed obvious. 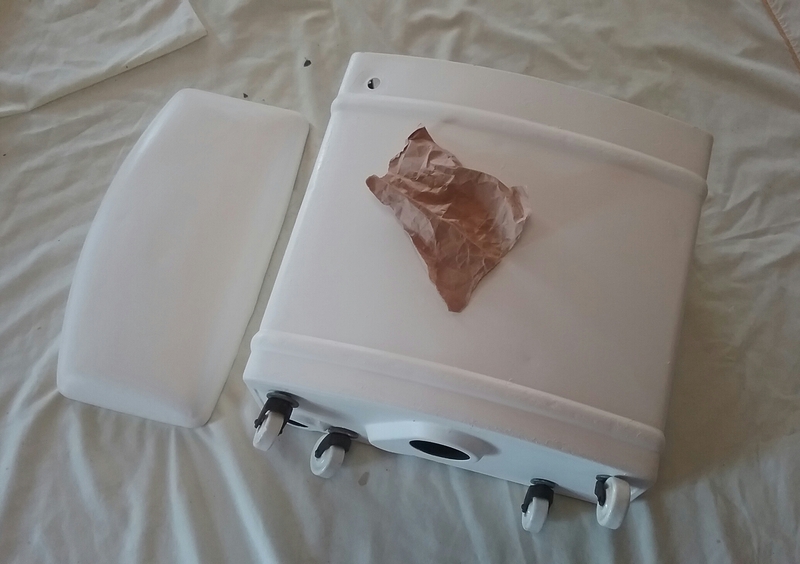 Before I could get started, all the plumbing was removed from the inside of the tank and it was given a disinfecting scrub. 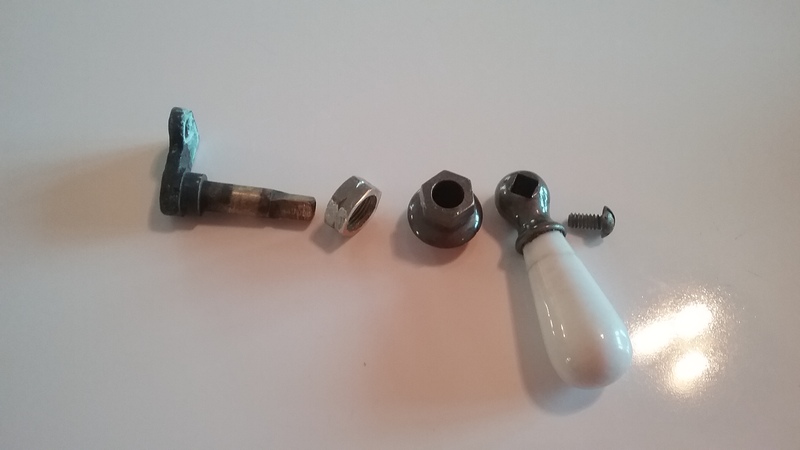 I had to find a set of four 1 1/2″ dia. 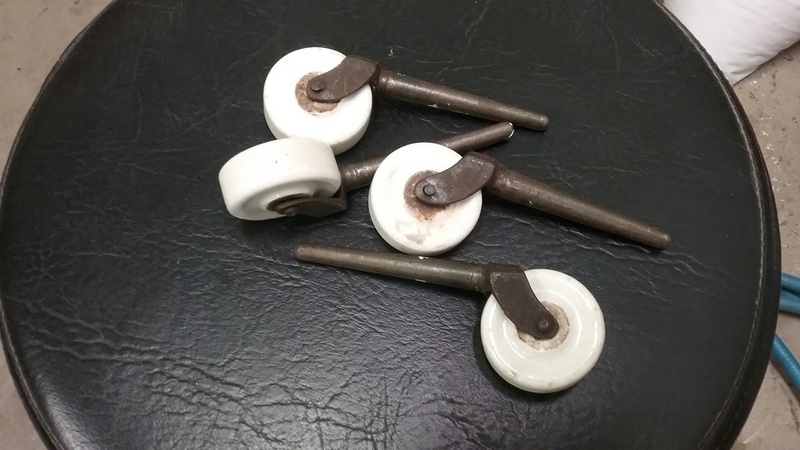 vintage porcelain casters, eight large flat washers, and four cotter pins. 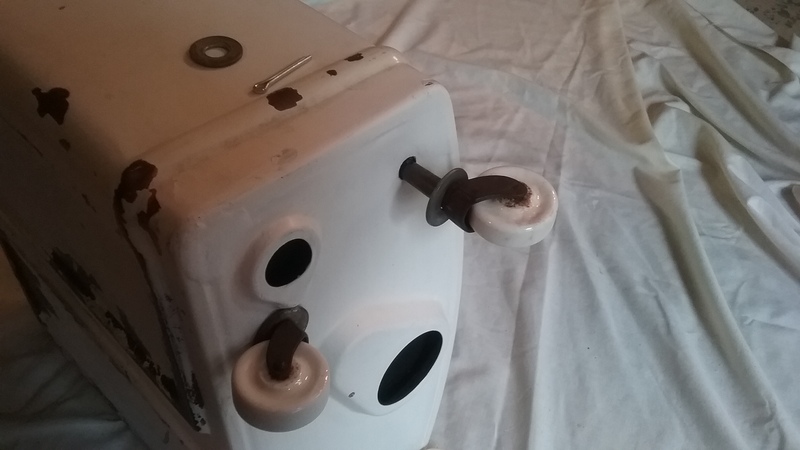 I tried looking around locally for the casters, then got impatient and ordered some off of Ebay. A toothbrush and some Comet cream cleanser cleaned them right up. 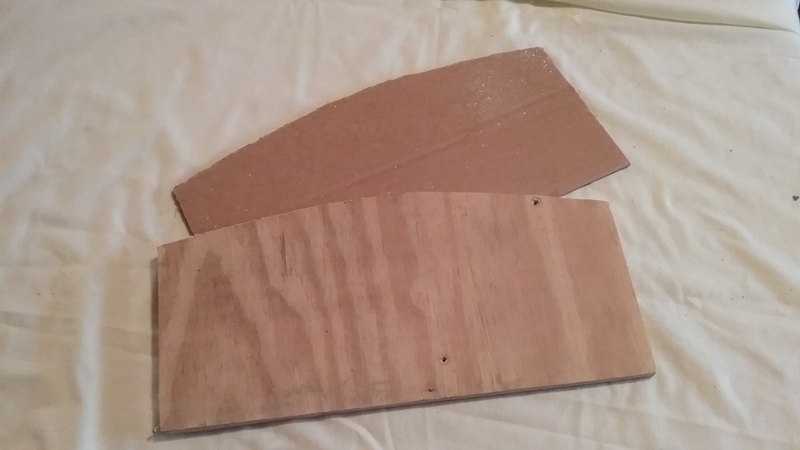 A piece of 1/2″ plywood had to fit in the bottom of the tank to help hold the wheels firmly. 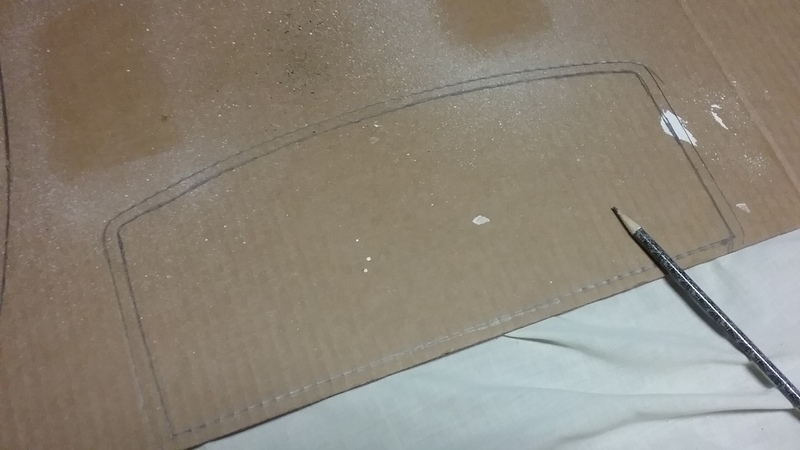 There was a lip on the edge of the tank opening, so, after tracing the top edge of the tank on cardboard, I reduced the template by 1/2″ all the way around, before transferring it to the wood. Cut and sanded the rough edges. I used four of the large washers to determine and mark the placement of the casters. 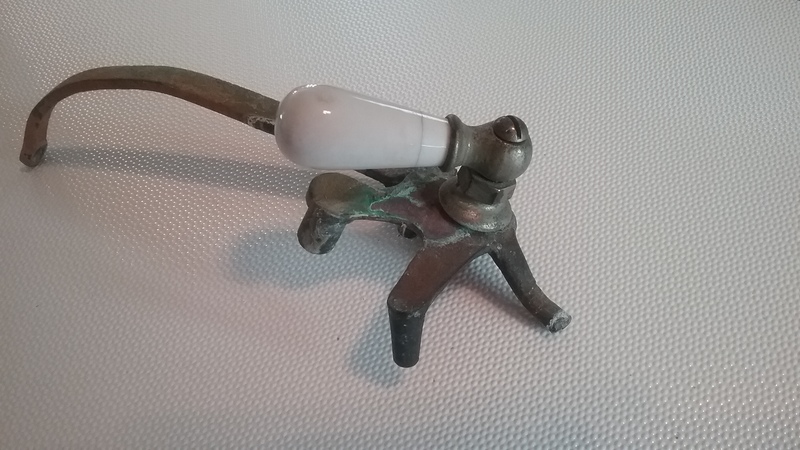 For ease of drilling through the copper, a pilot hole was drilled first, then a 7/16″ hole to accommodate the size of the caster stem. 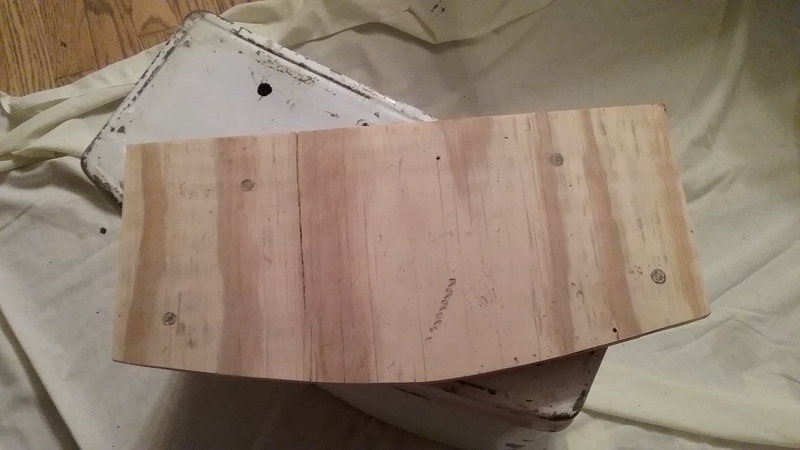 Hold the plywood firmly in the bottom of the tank to mark through the holes. 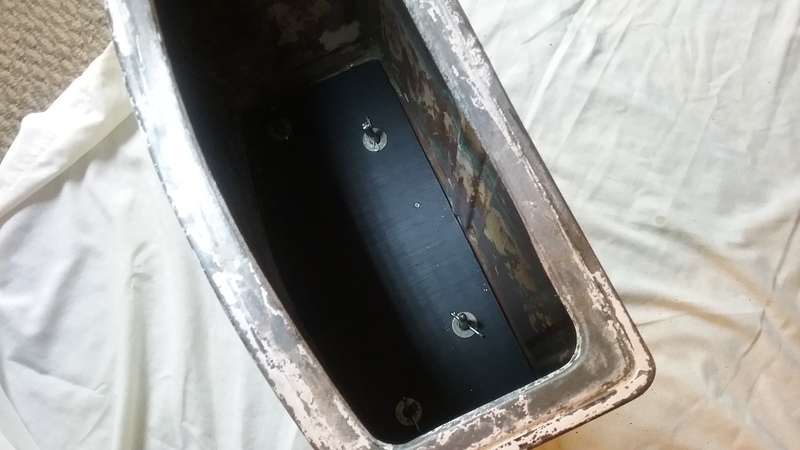 Drill 7/16″ holes in the wood and replace in the tank. 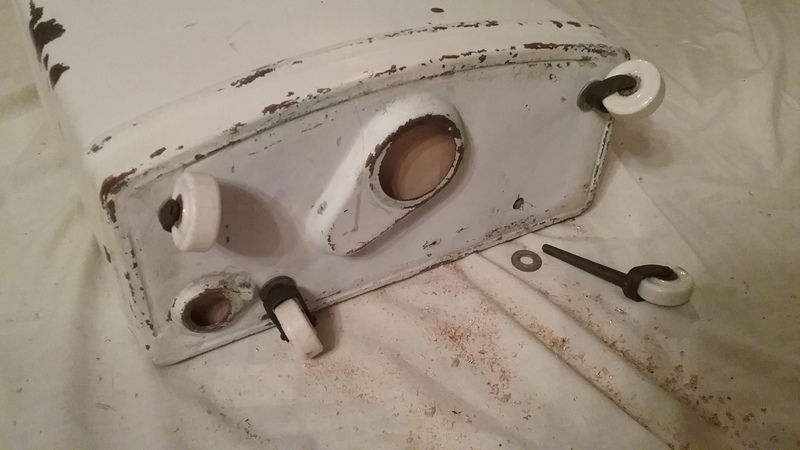 Put one washer on each caster stem and insert them through the holes on the bottom of the tank, up through the wood. 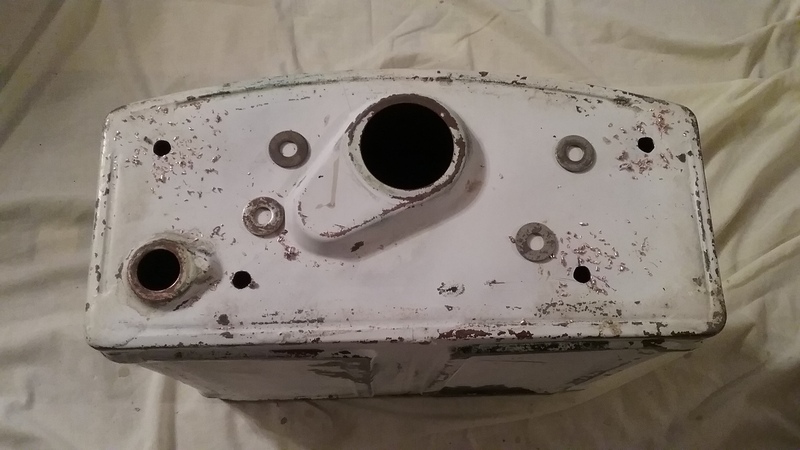 Turn tank upright so its resting on the casters. 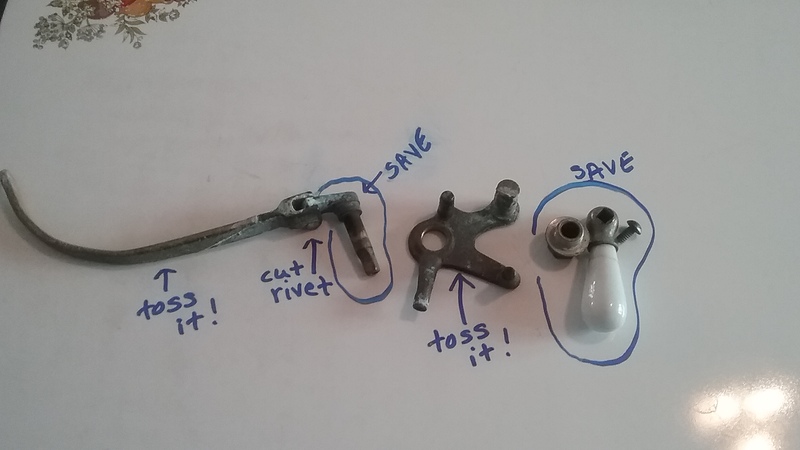 Put another washer on each caster stem. 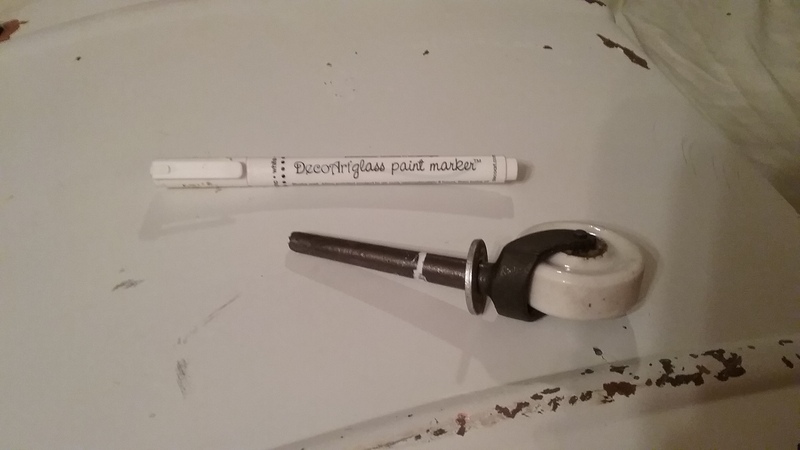 Use a white paint pen to reach inside the tank and mark the caster stems at the top of the washer. These marks will be used to drill holes for the cotter pins. Center punch the caster stems on the white marking. 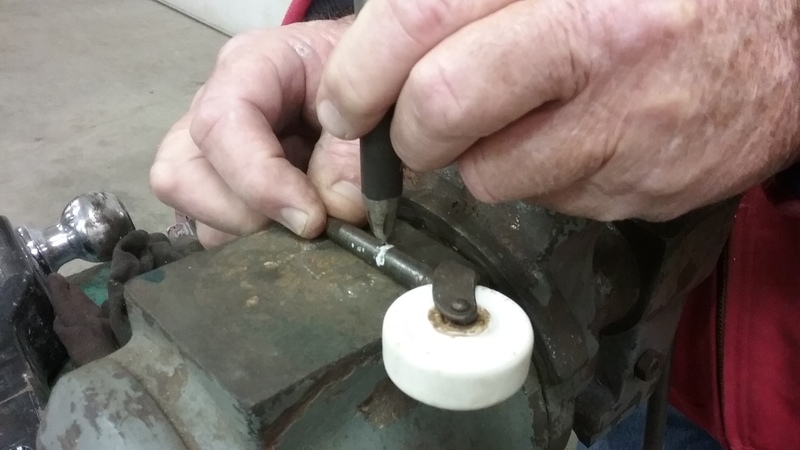 At the drill press, hold the caster firmly with vise grips and drill an 1/8″ hole, on the center punch, through the stem. 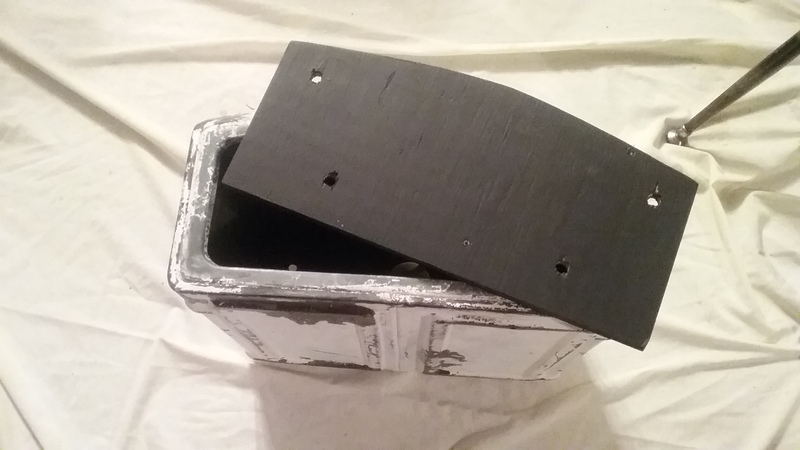 Paint the plywood black. 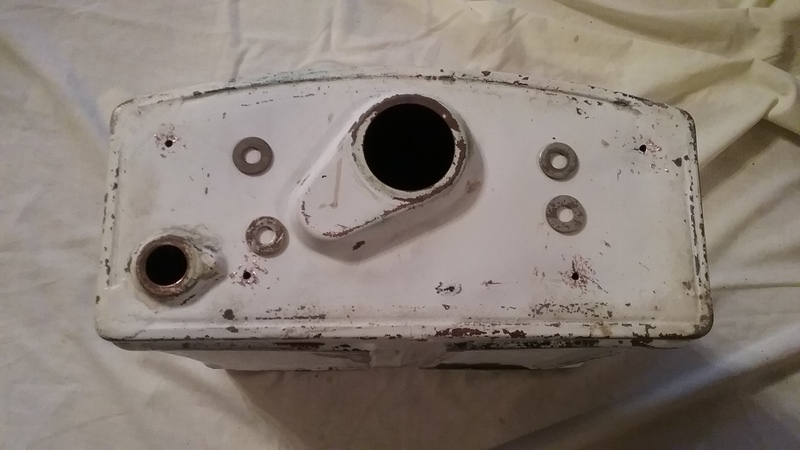 Paint the bottom of the tank. Let dry. 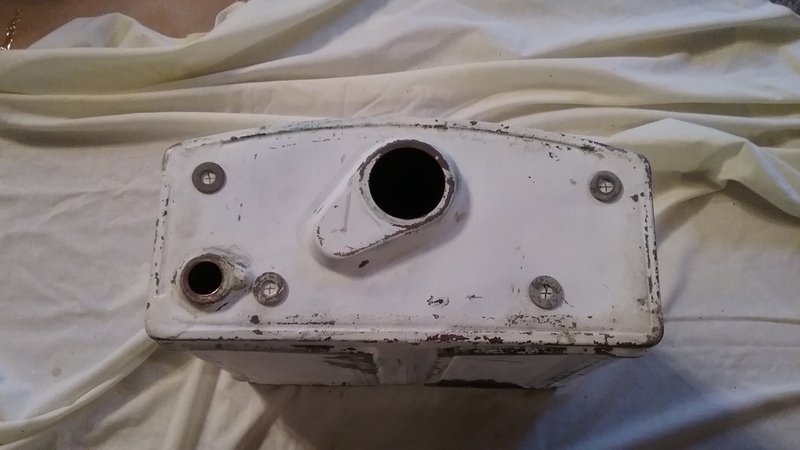 Put the plywood back in bottom of the tank and insert the casters again. 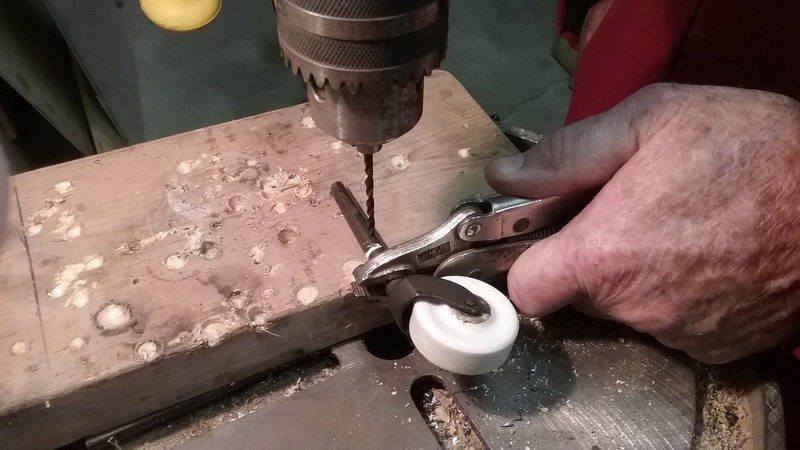 Push the cotter pins through the drilled holes of the caster stem. 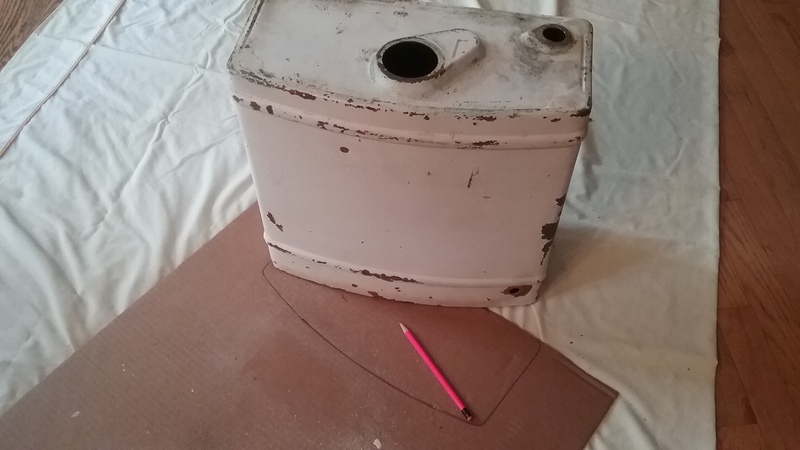 Paint the tank and lid. 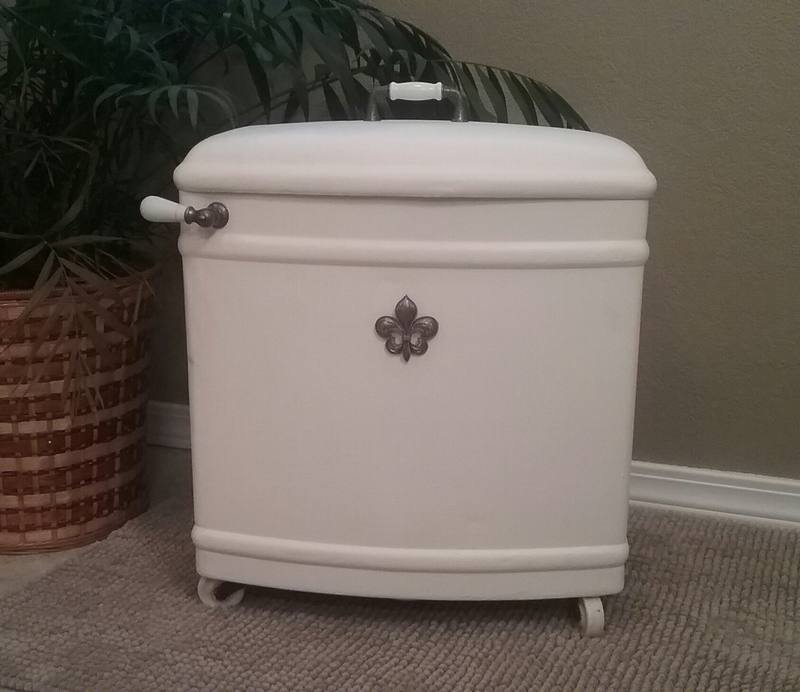 I beat a small dent out of the lid before painting. 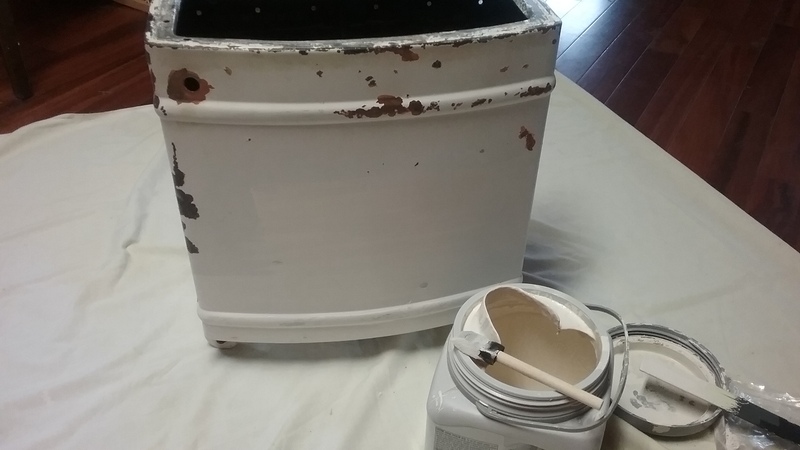 Lightly sand dried paint with a piece of wrinkled brown paper to smooth the finish. 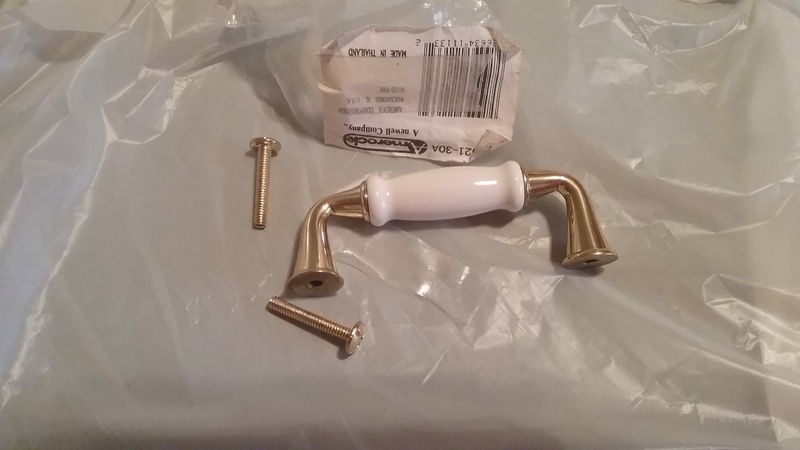 The porcelain handle was taken apart. 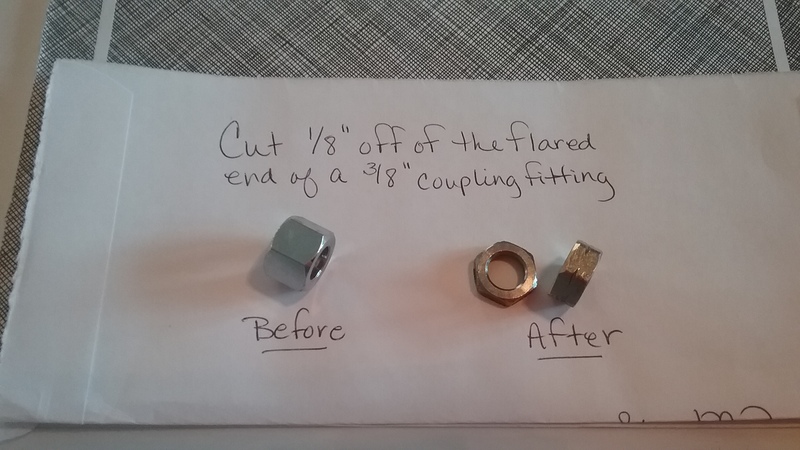 My husband helped me figure out a way to twist the handle back on firmly by customizing a 3/8″ coupling fitting. I found the perfect lid handle at the Habitat store for 50 cents. 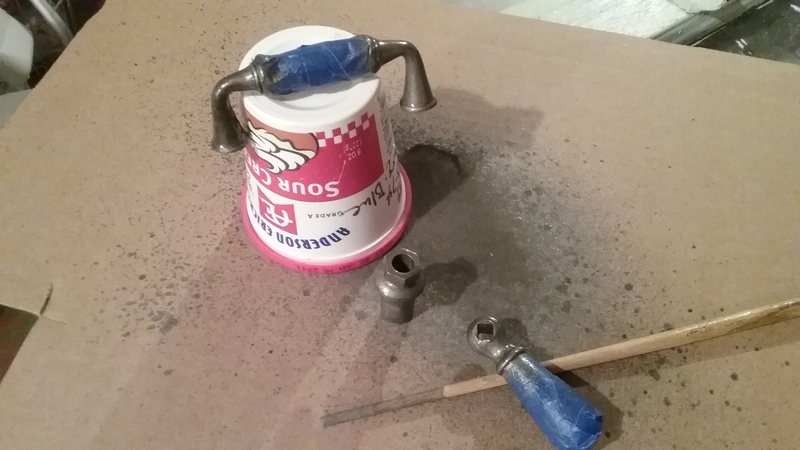 After taping off the porcelain parts, I sprayed the handles, and the handle pieces that would show, with a hammered metal paint. 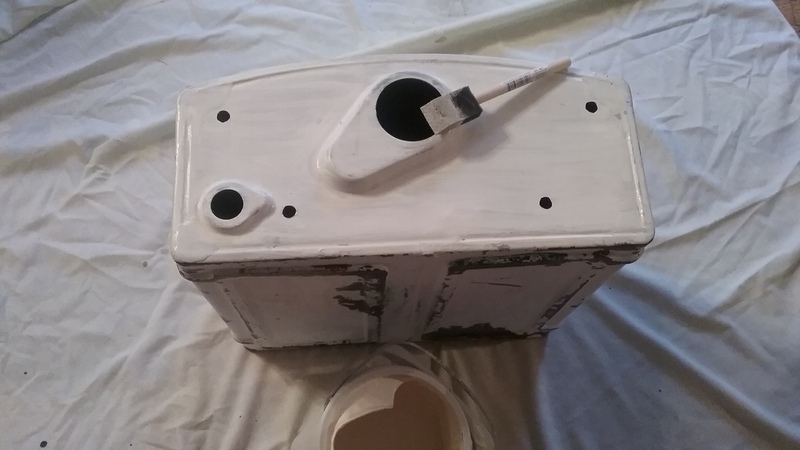 I used a q-tip with a little fingernail polish remover and a ceramic tool to clean up some paint bleeds before attaching the handles. 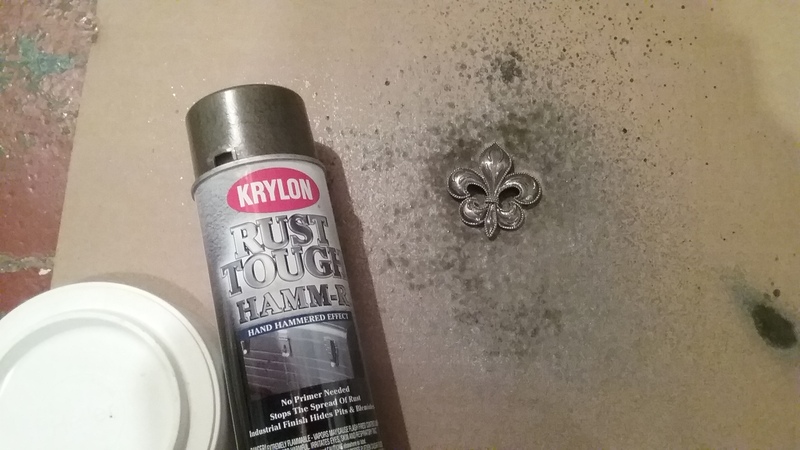 I’ve been saving an old necklace from my high school years because I liked the fleur-de-lis (never thought I’d be using it for something like this). 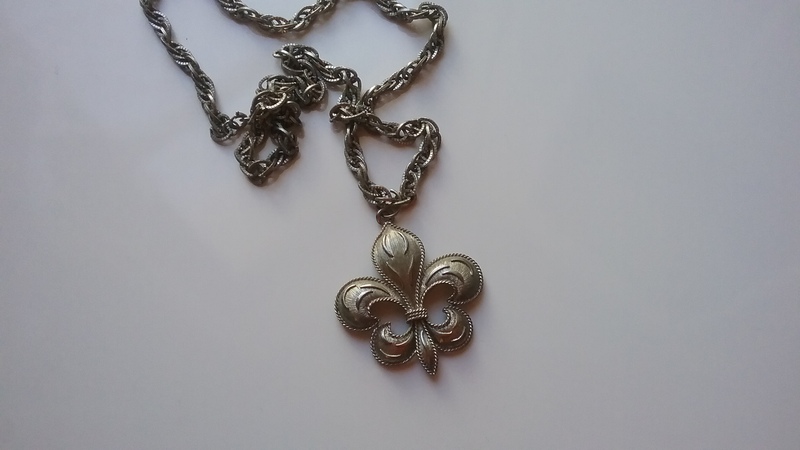 The link at the top of the fleur-de-lis was pretty weak and bent right off without leaving any sharp edges. I sprayed it to match the handles and let it dry. 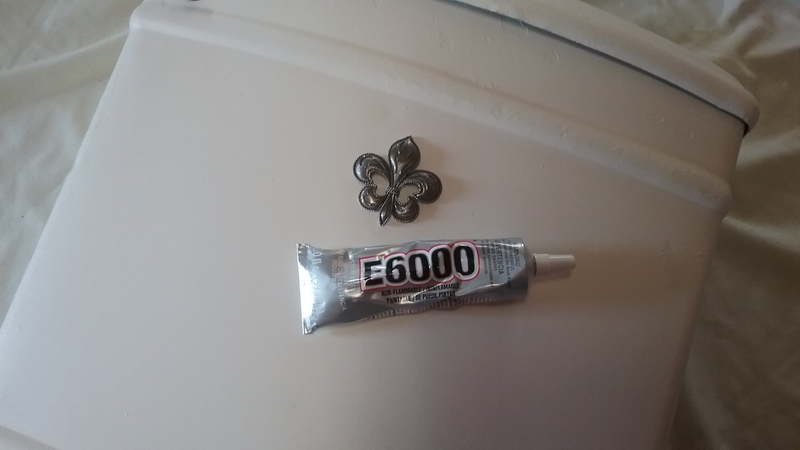 For good adhesion, I scrapped off a small bit of paint where I wanted to place the fleur-de-lis, then glued it on with a small dab of E6000. This is a fun piece, I love it! 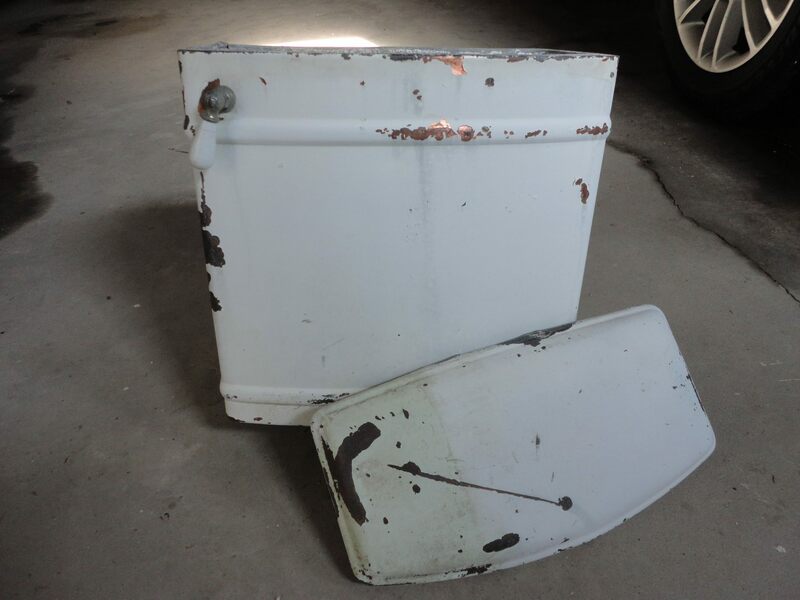 It’s sure to add a bit of vintage charm to my bathroom. I love this!! Such a great recyclable project!